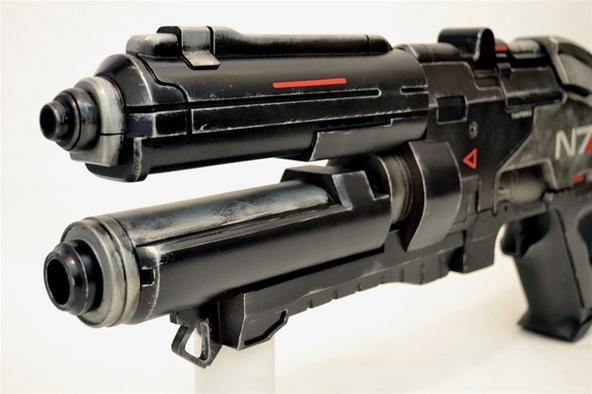 There's still about eight months before the final chapter in the Mass Effect series comes out, but some trigger happy fans are already building replica costumes and prop weapons to celebrate the upcoming release. BioWare themselves recently commissioned some of these projects, which were shown at their booth at Comic-Con 2011 a couple weeks ago in San Diego. 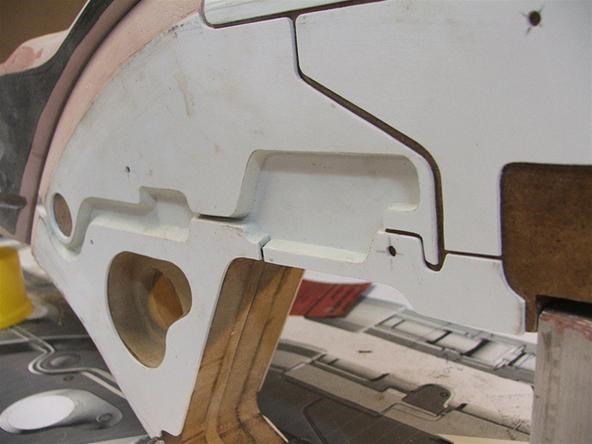 One of these projects was the armor that turian Garrus Vakarian sports in Mass Effect 3, by Kommissar Props. 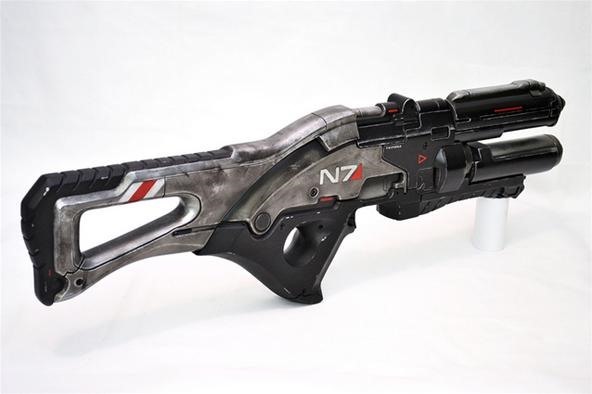 But even more impressive was the replica N7 rifle in Mass Effect 3 by Volpin Props. 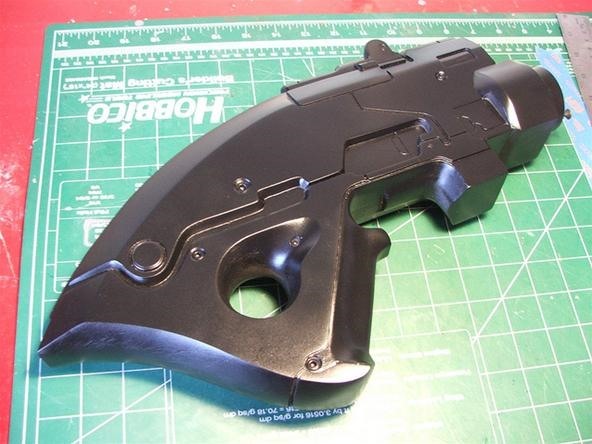 BioWare contacted 28-year-old Harrison Krix, head honcho at Volpin, about constructing the gun replica in time for Comic-Con, which was just a few weeks away at the time. Being a huge fan of the Mass Effect series, he couldn't resist the challenge, even though he'd never seen or heard of the N7 assault rifle before, a weapon which mirrors the already-announced N7 pistol, shotgun, sniper rifle and submachine gun. 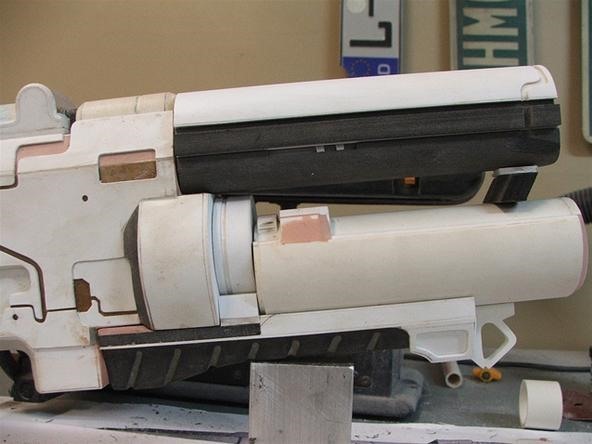 Krix managed to complete a near perfect replica of the N7 rifle in just 14 days! Some of you might think that's a long time, but when you see all that goes into making a realistic prop weapon, you'll change your mind. Krix documented nearly every step, so if you got the time and materials, you can try this out at home. 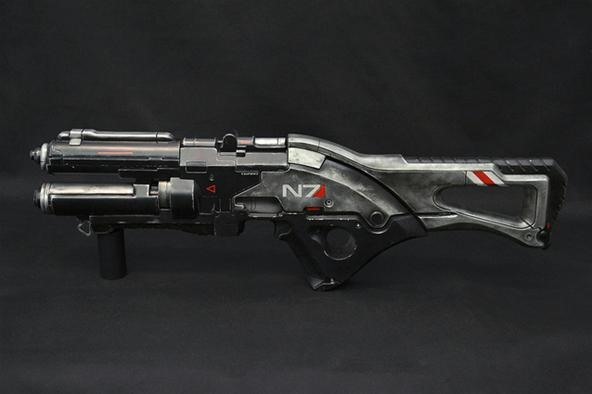 Who wouldn't want a replica Mass Effect weapon? 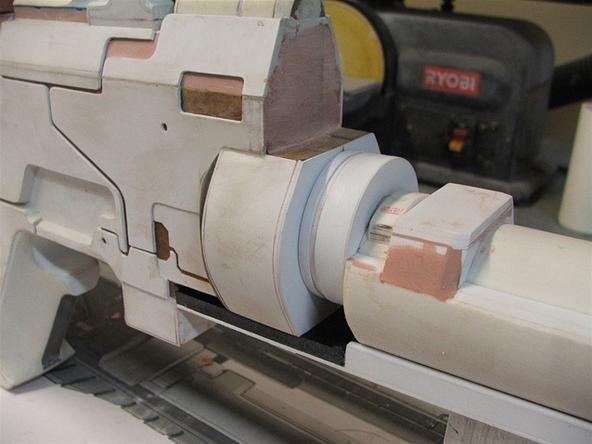 First, the rifle's main body and rear buttstock was cut from medium density fiberboard and glued together to outline the basic overall shape of the gun. 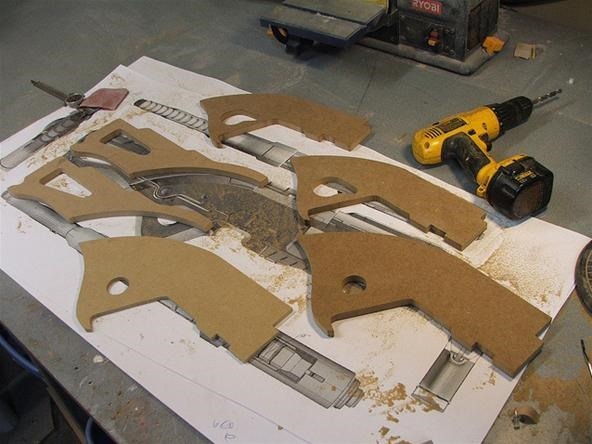 Then he cut out some of the recessed details with a Dremel and lined with styrene sheets, while he used Sintra PVC foamboard to outline some of the raised details. 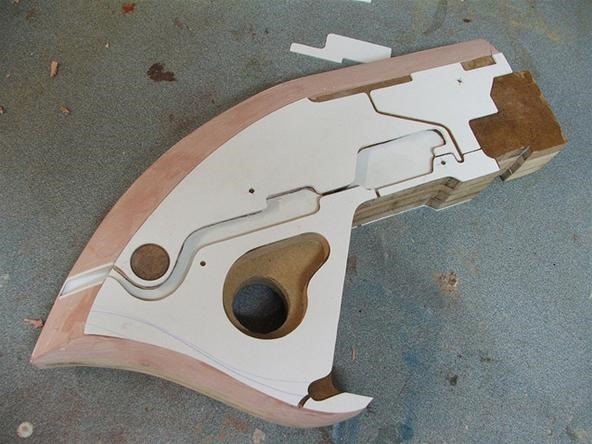 Some other needed materials included in the design were Bondo, foam, sealer, super glue, Apoxie Sculpt clay, acrylic rods, plastic, and some acrylic tubes left over from his Portal gun builds. Next came the barrel, made of PVC, a PVC connector and some styrene. And then the grip, made from a block of Sintra and Apoxie Sculpt. 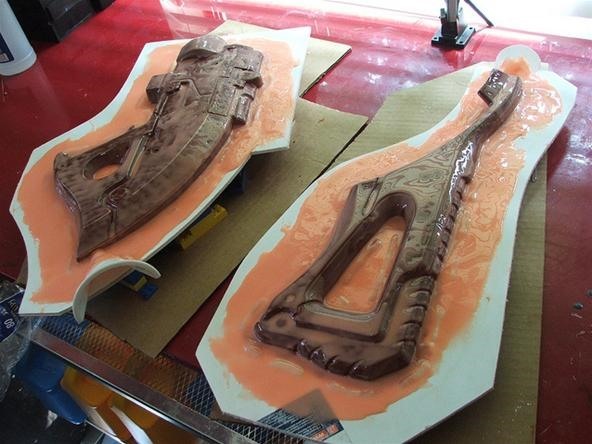 After a long process of finishing the rest of the weapon, he had to get it ready for the molding, filling in all the cracks and crevices so that the silicone mold would not tear. 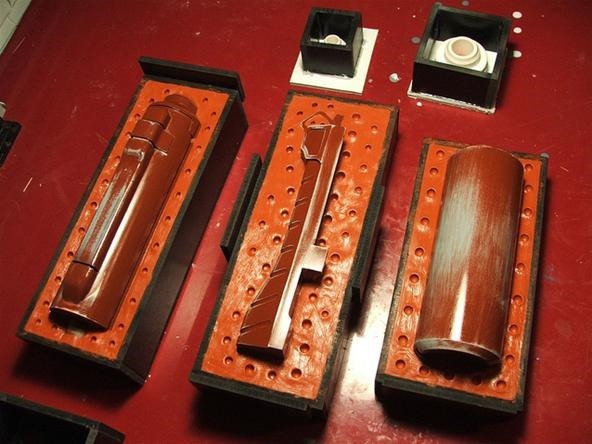 And then it came time for painting and weathering. Check out his time-lapse video below to see exactly what he did. 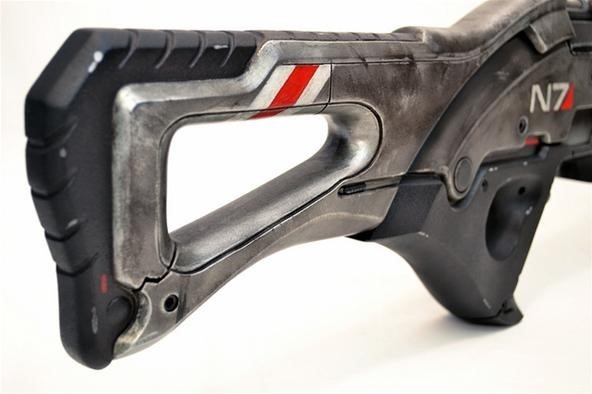 Then, all that was left was to spray a protective coat over the whole thing and presto... the completed and totally realistic looking N7 rifle from Mass Effect 3! 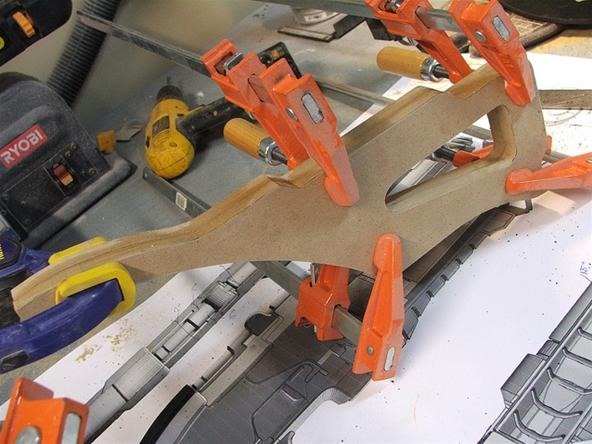 To see the whole process in detail, check out Volpin Props' Blog. And check out his other Mass Effect builds, like his M8 Avenger and N7 armor from Mass Effect 2.